To improve system stability and performance, we recommend a high-speed micro SD card (class 10/UHS-I or beyond). La Tinkerboard, a hérité de l'architecture du PI, hors celle-ci souffre d'un défaut important, la prise micro-usb ne peut délivrer au maximum que 1.9 A. 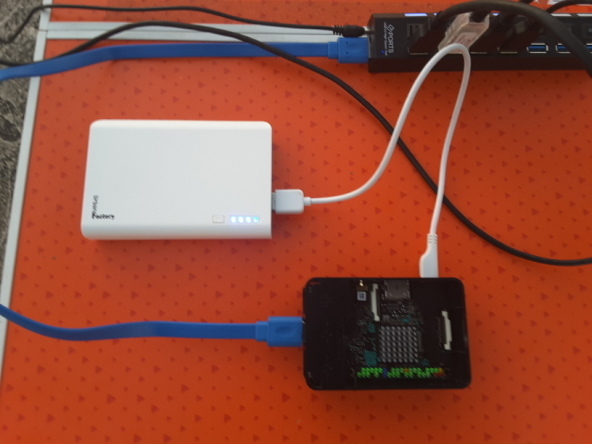 The Tinkerboard has inherited a PI power architecture which substantial pitfall being the micro-USB connector can only deliver up to 1.9 A. For astronomy accessories, a USB hub with dedicated power supply of 2A. In case you use a Power bank style battery to supply the Tinkerboard, it should be rated minimum 2.1 A. The USB Hub is still required and must have its own independent power source.